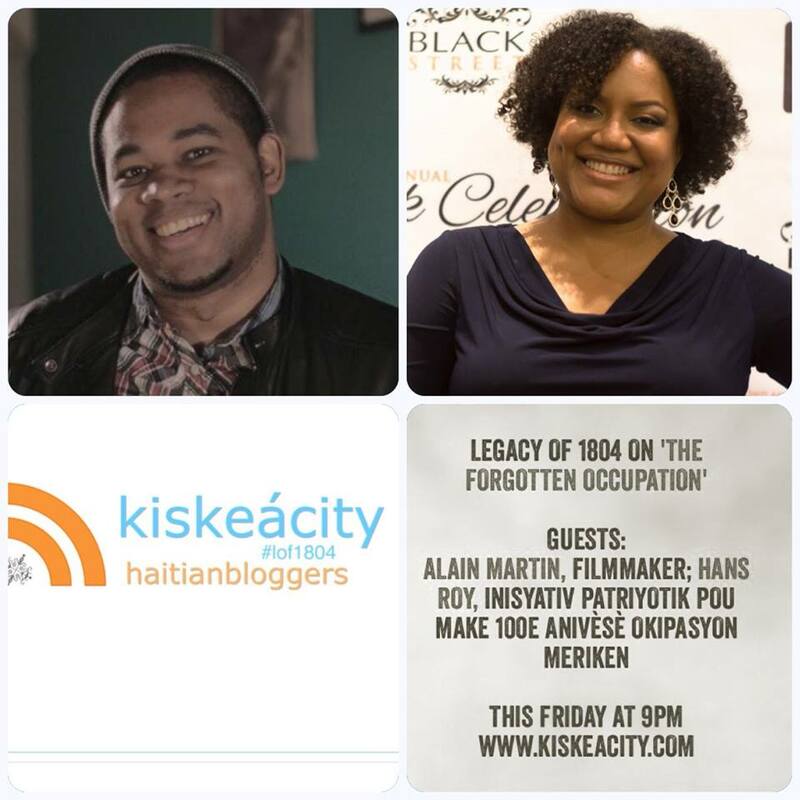 Join me and guests tonight at 9PM as we discuss "The Forgotten Occupation", a new film on the U.S. Occupation of Haiti previewing this weekend at 100th Anniversary commemoration events in Brooklyn. With filmmaker Alain Martin and Hans Roy of Inisyativ Patriyotik Pou Make 100yèm Anivèsè Okipasyon Meriken. Listen live or archived at http://www.blogtalkradio.com/pancaribbean/2015/07/25/legacy-of-1804-on-the-forgotten-occupation-haiti-film-lof1804. If you want to listen LIVE on your phone, do so at (714) 242-6119.